On Sunday March 15, 2015, at the Iroquois Club in Conneaut Lake, 65 guests attended a bridal shower for bride-to-be Lauren Longstreth. The Iroquois Club (http://www.iroquoisfishingclub.com) was built in the late 1800s and is often selected for its Victorian charm, onsite catering team, and beautiful views of Conneaut Lake. Helping out was Hello Productions’ event coordinator Natasha Eger. As the guests were arriving, they stopped at the mimosa bar to create their own champagne beverage with their choice of fruit juice and mixed berry skewers. After playing a few games such as “who has the groom” and “the best advice for the newlyweds,” brunch was served. This brunch included a delicious selection of quiches, pastries and sandwiches put together by the Iroquois Club. Before the guests left, they ate their delicious pieces of cake made by the bride’s aunt and enjoyed the self-serve candy bar. With a beautiful view of Conneaut Lake and the glowing beauty of the bride, it was truly a day to remember! Photography by Fallon’s Photography Studio, which serves the Meadville and Erie areas, as well as Cleveland, Pittsburgh and Youngstown. Before you travel abroad – whether it is for a honeymoon, destination wedding, or vacation – you will need to make sure you have a current passport. The U.S. Department of State has a very helpful U.S. 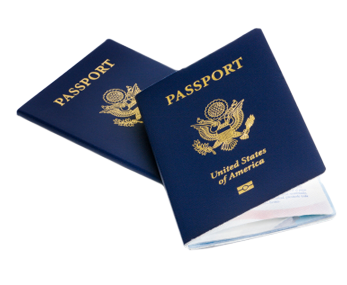 Passports & International Travel page (http://travel.state.gov/content/passports/english/passports.html) that will walk you through the process of either applying for a passport or renewing one. Keep in mind that once you submit your application, it can take anywhere from 4 to 6 weeks to receive your passport. Make sure you submit your application well in advance before your trip. If you do need one sooner than that, you can pay to have it expedited (approx. 3 weeks) or have an agency expedite for you (approx. 8 days). All first time applicants must apply in person at a Passport Agency, an authorized Passport Application Acceptance Facility, U.S. Embassy or Consulate. Fill out the form: DS-11: Application for a U.S. Passport. You can fill it out online and print it, or you can print a blank form to fill out by hand. Have your money ready. Figure out what fees you will need to pay ahead of time using their fee calculator: http://travel.state.gov/content/passports/english/passports/information/fees.html. Acceptance facilities may include post offices, libraries, or municipal offices. Note that some passport acceptance facilities see customers by appointment only, and some accept walk-in customers. As long as you have your passport (undamaged), you were age 16 or order when it was issued, and it was issued within the last 15 years, you can renew it by mail. Fill out and print the form: DS-82: U.S. Passport Renewal Application for Eligible Individuals (By Mail). You can check the status here: http://travel.state.gov/passport/status/status_2567.html. A trip requires careful planning. Here is a great checklist (http://travel.state.gov/content/passports/english/go/checklist.html) to review before you travel outside the United States. In addition, you can search for your destination to view more specific information about that country or area. There are so many great options if you choose to have a wedding gift registry, from local stores that now participate to larger retailers that let you do everything from the comfort of your home. Here are our favorite online retailers that offer gift registries. 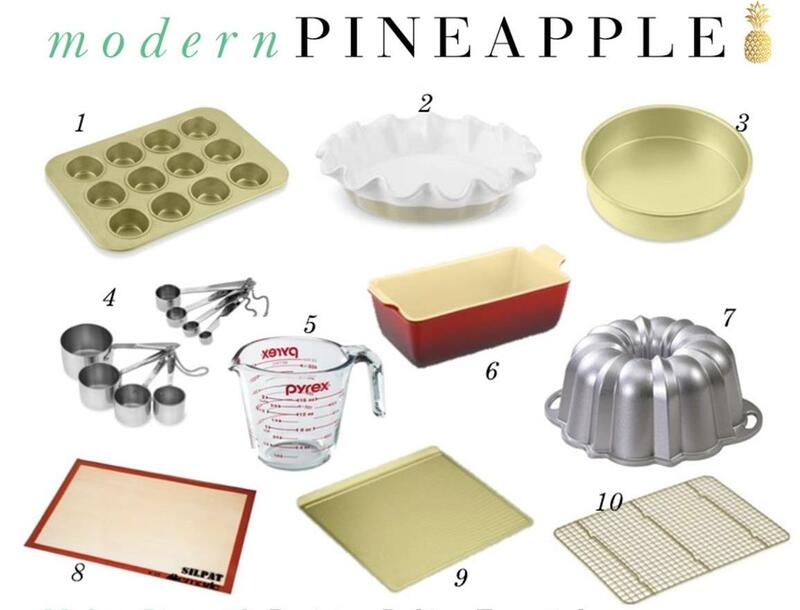 For a few of our favorite wedding registry must-haves, visit Modern Pineapple, a new, inspirational blog for modern entertaining, decorating, traveling the globe and more!